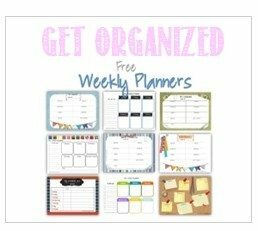 The following planners will help you get your life organized and keep it that way! These daily planners help you plan your day. Keep track of what you need to do each day, your chore list, your shopping list, what you eat and even how much you drink! Get organized and stay organized! You will be surprised how much you get done each day! These planners help you plan your week. A selection of weekly planners in various colors and designs. These planners help you plan your month. 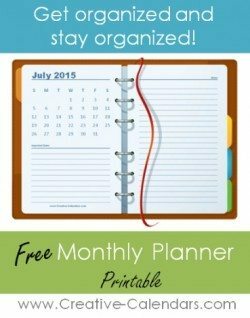 Notebook style planner with a monthly calendar and space to write notes and plan your month. You can also add your own photos to personalize your planner. 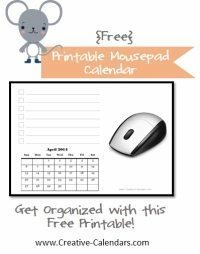 A mousepad with a planner and space to record notes and a to do list. 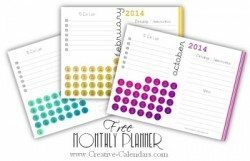 Monthly printable planner with space for a to do list, notes and special dates such as birthdays and anniversaries. 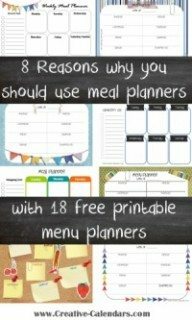 The following meal planners will help you plan your weekly meals and prepare your shopping list. 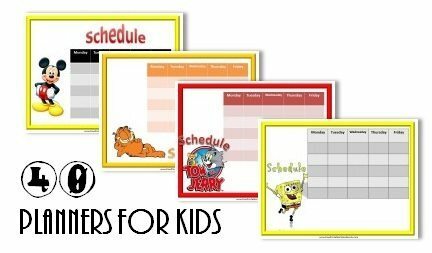 Kids have a lot going on with homework, assignments to prepare on time, play days and weekly activities. When you have more than one child it is even more complicated. 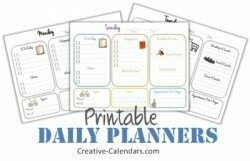 These printable planners will help you get organized and stay organized.